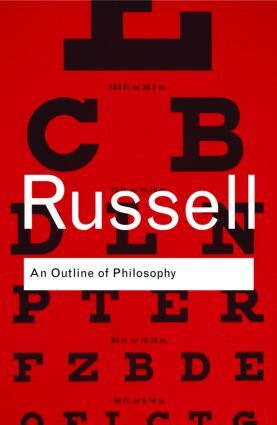 In his controversial book An Outline of Philosophy, first published in 1927, Bertrand Russell argues that humanity demands consideration solely as the instrument by which we acquire knowledge of the universe. From our inner-world to the outer-world, from our physical world to the universe, his argument separates modern scientific knowledge and our ‘seeming’ consciousness. These innovative perspectives on philosophy made a significant contribution to the discourse on the meaning, relevance and function of philosophy which continues to this day.